You've probably noticed by now, that I have a bit of a thing for jewellery. I wear 9 rings that I never take off, I never take any of my piercings out, and I love a statement necklace more than most things in life! Since the moment Sugar & Vice announced that they had managed to get hold of radiant acrylic I've been so excited. And then they shared a photo of this necklace, and I fell in love. The beauty of radiant acrylic is that is sparkles and dazzles in every colour it can attract, and the crystal form is just perfect for that. As a serious BMM fan girl, the tooth is one of their iconic designs that I don't actually own in any form. I bought Stu the tooth ring and have been jealous of it ever since! 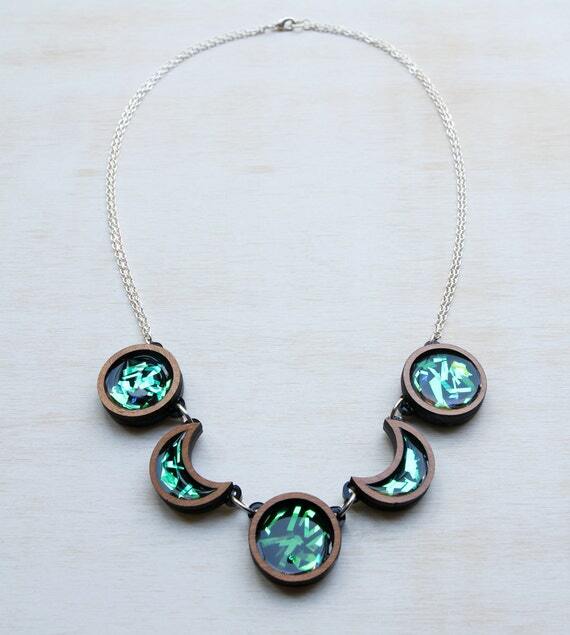 This chunky necklace is beautiful and so unusual. I love studded everything. Studded jackets, studded converses, and this is just fab! My friend Roswell Ivory once described my style as 'heavy metal Hello Kitty', and it felt so me. I love to dress girly and tough it up with stompy boots and pleather jackets. I recently bought a necklace from Panika and was totally blown away, I'll be posting it in a blog soon, but for now, I'm in awe of this beaut! I love the way it is put together and the blue chain. Worm Child Jewellery is a Grimsby based brand I discovered recently, with stunning sterling silver pieces they are totally my sort of a company. 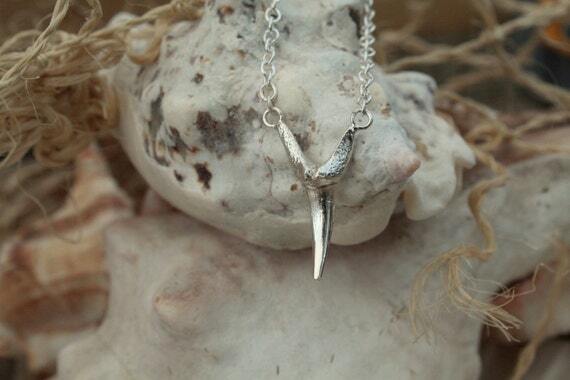 I have a soft spot for sharks, I think they are so beautiful and majestic, and this is necklace is a gorgeous piece. Creepy cute is totally my jam, and this is amazing! S&V have done a doll eye brooch for a long time and I've always hoped they would make a necklace version one day. That day has finally come! Cast from the skull of a real finch, this is one of BMM's new stand out pieces. Incredible detail, and a real classic piece with a gothic hint. I can never resist a lunar theme, and combine that with a holographic style and I can't resist. 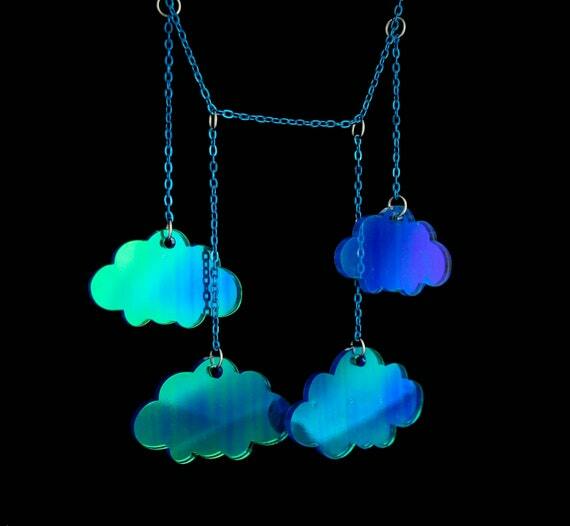 I have a variation on this necklace, and I still want this version too! One day, I will own something by BloodMilk. Their pieces have such incredible detail, Claws, skulls, moons, pentagrams, so many things I think are beautiful. What are your favourite jewellery companies? I love supporting independent business, so send me links!